Welcome to R&L Fire and Water Restoration! A BBB accredited business, we are licensed and fully insured. Based in Oakland County, R&L is open 24 hours, 7 days a week. Our IICRC Certified technicians are trained in every aspect of disaster recovery from Fire,Storm,and Water damage. From the first call our highly trained technitions will work with you step by step in restoring you property to its pre loss conditions. As our client, you will receive detailed documentation of the work performed at your property. This is to include digital photos, thermal images from infrared camera inspections, moisture readings, closure testing results, and a complete summary of methodologies used, to prove the fix was successful.When your home or business has been compermised, R&L has the experience and equipment to help preserve and restore your property. Our company Also specializes in Energey Conservation and Comprehensive Energy Audits. From air infiltration, insulation, new windows and doors. We can make you home more effecient, more comfortable and lower your utility bills. Visit our Energy Conservation Tab to learn more about our Go Green Sevices and rebates you may qualify for. Our in house crews have over 30 years of professional experience to ensure quality and consumer satisfaction. We handle everything from minor home improvements to major water damage restorations in Oakland, Macomb and Livingston counties. We have an in-house master electrician and plumber. We have BPI certified technicians and our crew has background checks completed. They have taken courses for lead safety for renovation, repair, painting and air quality. 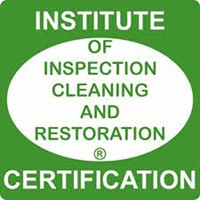 We are IICRC Certified and EPA Certified. Find us on Angie’s List. © Copyright 2013 R&L Fire & Water Restoration Inc.